The aim of this study was to evaluate the effects on diabetic peripheral neuropathy (DPN) of a long-term intensive lifestyle intervention (ILI) programme designed to achieve and maintain weight loss. Beginning in 2001, a total of 5145 overweight or obese people with type 2 diabetes, aged 45–76 years, participating in the multicentre Look AHEAD (Action for Health in Diabetes) study were randomised to ILI (n = 2570) or to a diabetes support and education (DSE) control group (n = 2575) using a web-based management system at the study coordinating centre at Wake Forest School of Medicine (Winston-Salem, NC, USA). Randomisation was stratified by clinical centre and was not revealed to the clinical staff responsible for obtaining data on study outcomes. Because of the nature of the study, patients and the local centre interventionists were not blinded to the study group assignments. In addition, the coordinating centre staff members responsible for data management and statistical analyses were not blinded to the study group assignments. The interventions were terminated in September 2012, 9–11 years after randomisation, but both groups continued to be followed for both primary and secondary outcomes. Neuropathy evaluations included the Michigan Neuropathy Screening Instrument (MNSI) questionnaire completed at baseline in 5145 participants (ILI n = 2570, DSE n = 2575) and repeated annually thereafter and the MNSI physical examination and light touch sensation testing conducted in 3775 participants (ILI n = 1905, DSE n = 1870) 1–2.3 years after discontinuation of the intervention. At baseline, the MNSI questionnaire scores were 1.9 ± 0.04 and 1.8 ± 0.04 in the ILI and DSE groups, respectively (difference not statistically significant). After 1 year, when weight loss was maximal in the ILI group (8.6 ± 6.9%) compared with DSE (0.7 ± 4.8%), the respective MNSI scores were 1.7 ± 0.04 and 2.0 ± 0.04 (p ≤ 0.001). Subsequently, the scores increased gradually in both groups, but remained significantly lower in the ILI group for the first 3 years and at the end of follow-up. In both groups, there was a significant association between changes in the MNSI scores and changes in body weight, HbA1c and serum lipids. There were no significant between-group differences in the proportions of participants with MNSI physical examination scores ≥2.5, considered to be indicative of diabetic neuropathy. The light touch sensation measured separately in either the right or left big toes (halluces) did not differ between ILI and DSE, but when the data were combined for both toes, light touch was better preserved in the ILI group. ILI resulted in a significant decrease in questionnaire-based DPN, which was associated with the magnitude of weight loss. In both the ILI and DSE groups, changes in the MNSI score were also related to changes in HbA1c and lipids. There were no significant effects of ILI on physical examination measures of DPN conducted 1–2.3 years after termination of the active intervention, except for light touch sensation, which was significantly better in the ILI group when measurements were combined for both toes. However, a potential limiting factor to the interpretation of the physical examination data is that no baseline studies are available for comparison. This work was funded by the National Institutes of Health through cooperative agreements with the National Institute of Diabetes and Digestive and Kidney Diseases. The complete author list for the Look AHEAD Research Group is provided in the Appendix. The complete list of Look AHEAD investigators is provided in the electronic supplementary material (ESM). The online version of this article (doi: 10.1007/s00125-017-4253-z) contains peer-reviewed but unedited supplementary material, which is available to authorised users. 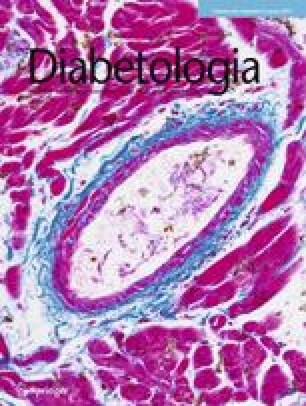 Diabetic neuropathies are a heterogeneous group of disorders of varying aetiology and clinical presentation . The most common form is symmetrical diabetic peripheral neuropathy (DPN), which mainly affects the lower extremities and is a major cause of morbidity because of its effects on risk for subsequent ulcers, amputation and disability. DPN is associated with long-standing hyperglycaemia and its associated metabolic abnormalities, such as increased polyol flux, formation of advanced glycation end-products and increased oxidative stress, and with dyslipidaemia and other cardiometabolic risk factors [2, 3]. It is a common complication in people with type 2 diabetes and its response to improved glucose control may not always be as good as that seen in people with type 1 diabetes . Several classes of medication have been shown to be effective in the management of painful DPN, including tricyclic antidepressants (amitriptyline, nortriptyline, imipramine), serotonin–noradrenaline (norepinephrine) reuptake inhibitors (duloxetine, venlafaxine) and voltage-gated calcium channel ligands (gabapentin, pregabalin) , but these agents have not been shown to prevent or alter the long-term progression of DPN. The effects of a programme of intensive lifestyle modification (ILI) focusing on weight reduction and increased physical activity on the development and or progression of DPN in people with type 2 diabetes have not been well studied, although a lifestyle programme in people with impaired glucose tolerance was shown to improve intraepidermal nerve fibre density . The Look AHEAD (Action for Health in Diabetes) Study (ClinicalTrials.gov registration no. NCT00017953), was a multicentre, randomised clinical trial that compared the effects of an ILI programme with a control group receiving diabetes support and education (DSE) on the development of cardiovascular disease [7, 8]. The ILI focused on weight loss and physical activity. We have now examined the effects of the ILI and DSE programmes on the development and/or progression of DPN over a period of 11–12 years. To measure DPN, we used both a subjective measure, the Michigan Neuropathy Screening Instrument (MNSI) questionnaire, and objective data from the MNSI physical examination and Semmes–Weinstein 10 g monofilament examination (monofilament exam) for light touch sensation in the feet [9, 10, 11, 12, 13, 14, 15, 16]. The main hypothesis was that the ILI programme would decrease the development and/or progression of DPN over the course of this long-term study. In the Look AHEAD study, overweight or obese individuals with type 2 diabetes mellitus, age 45–76 years, were randomly assigned 1:1 to ILI or DSE at 16 clinical centres in the USA. The design, power calculations, methods, baseline characteristics and main results have been described previously [7, 8]. Exclusion criteria included, but were not limited to, the inability to walk two blocks, a history of non-traumatic leg amputation or the presence of a significant abnormality on a maximum exercise stress test. Thus, some potential participants with clinically significant diabetic neuropathy may have been excluded from the study prior to randomisation. In September 2012, 9–11 years after the initial enrolment and randomisation of participants, the active intervention phase of the trial was stopped by the trial’s sponsor based on the recommendation of the Data Safety Monitoring Board after a futility analysis indicated that the primary study endpoint, the post-randomisation occurrence of one of a composite of cardiovascular events or cardiovascular death, would not be met. The study design was converted to a long-term observation trial entitled the Look AHEAD Continuation Study (Look AHEAD-C). The MNSI physical examination and the monofilament exam were performed 1–2.3 years (mean 1.6 years) after discontinuation of the active intervention phase of the study. The participating centres each received local institutional human subjects review board approval and written informed consent was obtained from each participant prior to enrolment. Participants in the Look AHEAD trial were randomised in 2001–2004 using a web-based management system at the study coordinating centre at Wake Forest School of Medicine (Winston-Salem, NC, USA). Randomisation was stratified by clinical centre and was not revealed to the clinical staff responsible for obtaining data on study outcomes. However, because of the nature of the study, patients and the local centre interventionists were not blinded to the study group assignments. In addition, the coordinating centre staff members responsible for data management and statistical analyses were not blinded to the study group assignments. The MNSI questionnaire is a self-administered questionnaire that was completed at baseline and annually throughout the study. It consists of 15 questions, 13 of which have a positive response scored as 1 point and two of which have a negative response scored as 1 point, giving a possible maximum total of 15 points  (see below). A score of ≥4 was considered abnormal, based on the analysis of its sensitivity and specificity in identifying DPN, and this was confirmed by nerve conduction testing in participants in the Diabetes Control and Complications Trial/Epidemiology of Diabetes Interventions and Complications (DCCT/EDIC) trial . The presence of a lower extremity amputation (question 15) was confirmed by physical examination and review of serious adverse event reports throughout the study. The MNSI physical examination was performed once, 11–12 years after randomisation and 1–2.3 years after discontinuation of the active intervention. The criteria for scoring this test were as follows: (1) inspection of each foot for deformities, dry skin, calluses, infections and fissures (the presence of any of these abnormalities on a foot was scored as 1 point); (2) each foot was also inspected for ulcers and each foot with an ulcer received a score of 1 point; (3) ankle reflexes were tested and scored as normal (0 points), present only with reinforcement (0.5 points) and totally absent (1 point); (4) vibration sense was tested bilaterally on the dorsum of the big toe using a 128 Hz tuning fork and compared with the duration of the vibration detected on the examiner’s distal forefinger. If the examiner detected the vibration for <10 s longer than the participant the vibration sense was normal (0 points), if it was ≥10 s longer, vibration sense was reduced (0.5 points) and if not felt at all by the participant it was absent (1 point). The maximum score for the MNSI physical examination was 4 points for each foot, giving a total maximum score of 8 points . In the case of a unilateral foot amputation, the score for the remaining foot was doubled. A score of ≥2.5 was considered abnormal based on the studies of Lunetta et al  and its use in evaluating the MNSI physical examination results in individuals with type 1 diabetes in the DCTC/EDIC trial . For the assessment of light touch sensation, a Semmes–Weinstein 10 g monofilament was used. Ten touches were administered to the dorsal surface of the big toe between the base of the nail and the proximal interphalangeal joint on both the right and left foot. In each location, perception of 8–10 touches was scored as normal (0 points), 1–7 touches as reduced (0.5 points) and 0 touches as absent (1 point) . In an additional post hoc analysis, if a participant perceived <8 touches on either big toe they were considered to have at least some minimal evidence of decreased light touch sensation in the feet. All data collected since randomisation were included in this analysis. A linear mixed-effects model was used to analyse the MNSI questionnaire score. The model included an indicator variable for intervention assignment, follow-up time and the interaction between the intervention and follow-up time while adjusting for the baseline MNSI score. Least square means and the corresponding 95% CIs were estimated and plotted to portray the trend over time. The average post-randomisation levels of the overall MNSI score for DSE and ILI were estimated and compared using contrasts. As a secondary analysis, we examined the association between various risk factors and mean MNSI scores. Specifically, we used weight change from baseline and systolic blood pressure (SBP) measured annually during the Look AHEAD-C study. We also used HbA1c, LDL-cholesterol, HDL-cholesterol, triacylglycerol and triacylglycerol:HDL-cholesterol ratio measured annually up to and including year 4 and then biannually through the remainder of Look AHEAD. An additional measure of HbA1c in the Look AHEAD-C study was included in analyses as well. All these risk factors were modelled as time-varying predictors. Each risk factor and its interaction with the intervention assignment were added to the model separately. The presence of MNSI questionnaire scores ≥4 and a participant’s responses to each individual MNSI item were analysed using logistic regression models appropriate for repeated binary outcomes. The models used generalised estimating equations (GEE), a logit link and a binomial variance and included baseline outcome measure, an indicator variable for intervention assignment, follow-up time and the interaction between the intervention and follow-up time. Overall OR and 95% CIs for ILI compared with DSE were constructed from the fitted models. The MNSI physical examination and the monofilament test were performed once in the Look AHEAD-C study, 1–2.3 years after discontinuation of the active intervention phase of the study. The presence of MNSI physical examination scores ≥2.5 was compared between DSE and ILI using a χ 2 test. Abnormal monofilament test results in either foot were analysed in a similar fashion. Finally, we examined medication use that was potentially related to DPN. The use of any biguanides was summarised for each year and each intervention group. It was also modelled as a time-varying predictor to assess its association with MNSI questionnaire scores. The use of any medications to treat painful DPN (tricyclic antidepressants, serotonin and noradrenaline reuptake inhibitors and voltage-gated calcium channel ligands) was also summarised by year and by intervention group. All analyses were conducted using SAS 9.4 software (SAS, Cary, NC, USA). A two-sided p value of less than 0.05 was considered statistically significant. At baseline, there was no significant difference in the MNSI questionnaire score between the ILI (n = 2570) and DSE groups (n = 2575), with mean scores of 1.9 ± 0.04 and 1.8 ± 0.04, respectively. However, at 1 year, when the ILI group had achieved maximum weight loss (8.6 ± 6.9% vs 0.7 ± 4.8% in the DSE group ), the MNSI questionnaire score had decreased to 1.7 ± 0.04 and was significantly lower than the DSE group score of 2.0 ± 0.04 (p < 0.001). Subsequently, the MNSI scores for both groups increased progressively over time, but remained significantly lower in the ILI group than in the DSE group for the first 3 years and in the final years of the follow-up (Fig. 1). The MNSI score averaged over the course of the study was 2.35 ± 0.03 and 2.21 ± 0.03 for the DSE and ILI group, respectively (p < 0.001). The percentage of participants with an MNSI questionnaire score ≥4 in each group is shown in Fig. 2. This percentage decreased in the ILI group at the end of the first year of active intervention and then increased gradually over the next several years to approximately 25%. In the DSE group there was a gradual increase in the percentage of participants with a score of ≥4 to approximately 27%. Over the entire course of the study, the average percentage of participants with an MNSI score of ≥4 was significantly lower in the ILI group than in the DSE group (OR [95% CI] 0.89 [0.81, 0.99], p = 0.026). Compared with the DSE group, the ILI group had significantly fewer positive responses to questions 2, 4, 5, 10 and 12 on the questionnaire, namely less burning pain in the feet and legs, fewer muscle cramps, less prickling sensation in the legs and feet, less feeling weak all over and less leg pain when walking. There were no significant differences between the two groups in their responses to the other MNSI questions. In both the DSE and ILI groups there was a significant association between the mean MNSI scores over the follow-up period and the mean weight change from baseline and the mean HbA1c levels measured throughout the follow-up phase of the study. For each 1 kg decrease in weight from baseline there was a decrease in the MNSI score of 0.02 (p < 0.001) for both the DSE and ILI groups and for each increase in HbA1c of 1% (NGSP units) there was an increase in the MNSI score of 0.04 (p < 0.001) in the DSE group and 0.06 (p < 0.001) in the ILI group. The mean MNSI scores were also associated negatively with HDL-cholesterol and positively with serum triacylglycerols and the triacylglycerol:HDL-cholesterol ratios. For each 0.259 mmol/l (10 mg/dl) decrease in HDL-cholesterol the MNSI score increased by 0.07 (p < 0.001) in the DSE group and by 0.05 (p = 0.0016) in the ILI group. For each 0.113 mmol/l (10 mg/dl) increase in triacylglycerol level there was an increase in the MNSI score of 0.006 (p < 0.001) in the DSE group and 0.005 (p < 0.001) in the ILI group. For each unit increase in the triacylglycerol:HDL-cholesterol ratio the MNSI score increased by 0.02 (p < 0.001) in both the DSE and ILI groups. There was no significant association between the MNSI score and LDL-cholesterol or SBP in the DSE and ILI groups. There was no statistically significant interaction with the treatment for any of these risk factors. The results of the cross-sectional MNSI physical examination and sensory nerve testing conducted in 3775 participants (ILI n = 1905, DSE n = 1870) 11–12 years after randomisation and 1–2.3 years after discontinuation of the active intervention phase of the study are shown in Table 1. A physical examination score of ≥2.5, indicative of the presence of some degree of peripheral neuropathy, was present in 67.8% of the participants in the DSE group and 67.4% of the participants in the ILI group (difference not statistically significant). The light touch sensation, measured by monofilament testing on both big toes and analysed separately, was abnormal (<8/10 pricks detected) in 28.3% of the participants in the DSE group and 25.6% of the participants in the ILI group on the right foot (difference not statistically significant) and 27.4% vs 24.4% (difference not statistically significant) of the participants, respectively, on the left foot. In an additional post hoc analysis the data were analysed as a reading of <8 perceived pricks on either the right or the left foot. This was present in 34.5% of the participants in the DSE group and 30.4% of the participants in the ILI group (p = 0.008), suggesting that the ILI group participants may have maintained slightly better light touch sensation in the feet than did the DSE group participants. Additional analyses were conducted to determine whether there was an association between the use of biguanides and the MNSI questionnaire scores in either the ILI group or the DSE group and whether there were significant differences in the use of medications for treating painful DPN between the groups. Biguanides were used by 62% of the ILI participants and 61% of the DSE participants at baseline; at year 12, the respective percentage was 64% and 67%. Average use during the course of the study was slightly greater in the DSE group than in the ILI group. However, there was no association between the use of biguanides and the MNSI questionnaire scores. The use of medications to treat painful DPN, including tricyclic antidepressants, serotonin and noradrenaline reuptake inhibitors and voltage-gated calcium channel ligands was relatively low, being 4.2% of the ILI and 4.5% of the DSE participants at baseline, increasing to 13.6% and 14.7% of ILI and DSE participants, respectively, at year 12. In the Look AHEAD study, a large, multicentre trial to determine the effects of an intensive lifestyle modification programme on the development of cardiovascular disease in overweight or obese people with type 2 diabetes, the impact of the lifestyle intervention programme (ILI group) on the development and progression of DPN was examined and compared with that in the randomised control group (DSE group). A combination of the MNSI questionnaire administered annually and a neurological examination conducted during the Look AHEAD-C phase of the study 11 or 12 years after randomisation of participants and 1–2.3 years after discontinuation of the active intervention phase of the study was used. The key findings were that the ILI intervention group had a significant decrease in the score on the MNSI questionnaire at the end of the first year of the study when maximal weight loss was achieved. Following this initial improvement, there was a progressive increase in the MNSI scores in both the ILI and DSE groups, but the ILI group maintained lower scores than the DSE group throughout the duration of the study. This is consistent with an initial and persistent beneficial effect of the ILI programme on symptoms commonly associated with DPN. Specific areas of benefit included less leg pain when walking, less leg weakness, fewer muscle cramps and less painful sensory neuropathy in the legs and feet. When the neurological physical examinations were completed during the Look AHEAD-C phase of the study, approximately two-thirds of the participants had some evidence of DPN and there was no significant difference between the ILI and DSE groups. In addition, approximately 27–33% of the participants had mild to severe loss of monofilament light touch sensation. When tested individually on the right or left big toe, no significant differences were seen between the DSE and ILI groups. However, when analysed as decreased or absent light touch sensation in either the right or left foot, significantly fewer people in the ILI group than in the DSE group had evidence of at least some loss of sensation. In analyses of additional factors that might influence the presence or severity of DPN in the study participants, we determined that the use of biguanides was similar in the ILI and DSE groups and was not associated with the MNSI questionnaire scores. However, no data were collected on vitamin B12 levels during the study to evaluate the possibility that the use of biguanides might be associated with significant vitamin B12 deficiency, which could contribute to the development of peripheral neuropathy. The use of medications to treat painful DPN was relatively low and not different between the two groups. Thus, it seems unlikely that the use of these medications would have significantly affected the study results. Taken together, these findings indicate that an intervention focused on weight loss and increased physical exercise in overweight people with type 2 diabetes may reduce the clinical manifestations of DPN initially and that this beneficial effect can be maintained for many years. Whether this is associated primarily with the achievement or maintenance of weight loss, changes in physical activity, better glycaemic control or improvements in blood pressure or lipids, or is due to other factors, is not clear. The significant positive associations of the MNSI scores with HbA1c and change in body weight and the weaker, but statistically significant, associations with serum HDL-cholesterol, triacylglycerols and the triacylglycerol:HDL-cholesterol ratio in both the DSE and ILI groups support the importance of these risk factors in the development of DPN and their amelioration by the lifestyle intervention programme. The associations between LDL-cholesterol or SBP and the MNSI scores were either not significant or very weak in the two treatment groups, suggesting that these factors did not play a clinically significant role in the development of DPN in the Look AHEAD participants. Several limitations should be noted. Since the study exclusion criteria eliminated participants who had a previous non-traumatic lower extremity amputation, could not walk for two blocks or who had a significantly abnormal exercise stress test, some volunteers with significant diabetic neuropathy may have been excluded from the study prior to randomisation, limiting the generalisability of our findings. We do not have baseline data for the MNSI physical examination or monofilament light touch testing to compare with the data collected during the Look AHEAD-C phase of the study. However, for those participants in the Look AHEAD study who were randomised to the ILI group programme, there was a significant decrease in the MNSI questionnaire scores during the initial phases of the study, when significant weight loss occurred, and this beneficial effect persisted for at least 11–12 years when compared with the MNSI scores in the DSE control group. However, in contrast to the MNSI questionnaire results, with the exception of slightly reduced loss of light touch sensation in the ILI group, there were no significant differences in the MNSI physical examination scores in either group. It should be recognised that, because of their limitations, the MNSI questionnaire and physical examination and the Semmes–Weinstein monofilament testing for light touch sensation may not be ideal for diagnosing diabetic neuropathy in the participants in this study and that the results have not been confirmed by measurement of nerve conduction velocity or by biopsy techniques. Unfortunately, the nature of this large, multicentre trial has precluded obtaining this type of information, so we have had to rely on the use of the MNSI questionnaire and physical examination methods for evaluating DPN that are commonly used in clinical practice. Some of the information contained herein was derived from data provided by the Bureau of Vital Statistics, New York City Department of Health and Mental Hygiene. Look AHEAD study data are owned jointly by the individual clinical centres, the National Institutes of Health (NIH) and the coordinating centre. For approved ancillary studies and sub-studies, the Look AHEAD coordinating centre provides a cleaned data set of approved data relevant to the ancillary study. When the coordinating centre ceases to function as an analytic resource it will release all Look AHEAD data to the clinical centres and NIH. Two years subsequent to this release, the full data set will be made public. Data from the active intervention phase of the study, which ended in 2012, is available with permission through the NIH data archives (https://niddkrepository.org/studies/look-ahead/), including data from screening, baseline and follow-up for approximately 10 years. This work was funded by the National Institutes of Health through cooperative agreements with the National Institute of Diabetes and Digestive and Kidney Diseases: 5U01DK57136, 5U01DK57149, 5U01DK56990, 5U01DK57177, 5U01DK57171, 5U01DK57151, 5U01DK57182, 5U01DK57131, 5U01DK57002, 5U01DK57078, 5U01DK57154, 5U01DK57178, 5U01DK57219, 5U01DK57008, 5U01DK57135 and 5U01DK56992. Additional funding was provided by the National Heart, Lung, and Blood Institute, National Institute of Nursing Research, National Center on Minority Health and Health Disparities, NIH Office of Research on Women’s Health and the Centers for Disease Control and Prevention. This research was supported in part by the Intramural Research Program of the National Institute of Diabetes and Digestive and Kidney Diseases. The Indian Health Service (IHS) provided personnel, medical oversight, and use of facilities. The opinions expressed in this paper are those of the authors and do not necessarily reflect the views of the IHS or other funding sources. Additional support was received from the following institutions: The Johns Hopkins Medical Institutions Bayview General Clinical Research Center (M01RR02719); the Massachusetts General Hospital Mallinckrodt General Clinical Research Center and the Massachusetts Institute of Technology General Clinical Research Center (M01RR01066); the Harvard Clinical and Translational Science Center (RR025758-04); the University of Colorado Health Sciences Center General Clinical Research Center (M01RR00051) and Clinical Nutrition Research Unit (P30 DK48520); the University of Tennessee at Memphis General Clinical Research Center (M01RR0021140); the University of Pittsburgh General Clinical Research Center (GCRC) (M01RR000056), the Clinical Translational Research Center (CTRC) funded by the Clinical & Translational Science Award (UL1 RR 024153) and NIH grant (DK 046204); the VA Puget Sound Health Care System Medical Research Service, Department of Veterans Affairs and the Frederic C. Bartter General Clinical Research Center (M01RR01346). The following organisations have committed to make major contributions to Look AHEAD: FedEx Corporation; Health Management Resources; LifeScan, Inc., a Johnson & Johnson Company; OPTIFAST of Nestle HealthCare Nutrition, Inc.; Hoffmann-La Roche Inc.; Abbott Nutrition; and Slim-Fast Brand of Unilever North America. All members of the writing group (see Appendix) were involved in the conception and design of the study, in the acquisition and analyses of the data and in the preparation of the manuscript. All those listed as authors (see Appendix) were involved in the conception, design and conduct of the study and in the review and final approval of the manuscript for the Look AHEAD Study Group. Edward S. Horton is the guarantor of this work.